I was invited to go to a newly opened cave in Cavinti, Laguna. I've heard very little about this cave which is why it piqued my curiosity. 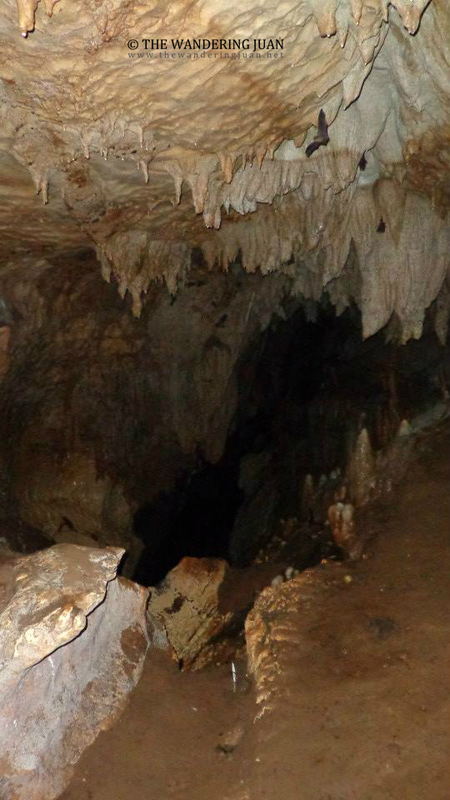 The cave was just opened to the public last March. Since I was on a month long travel hiatus, I decided to join the tour of Explore8 along with some friends. The trip to the caves was an adventure in itself because of the mishaps. 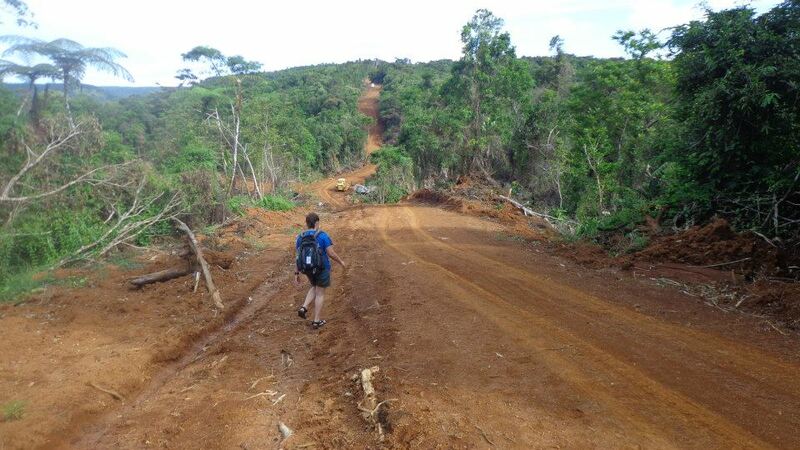 The road was underdeveloped and not suited for other vehicles besides jeeps, 4x4s, motorcycles, and tricycles. The dirt road got worse because of the rains, which made crossing via vehicle so much harder. Halfway trough the dirt road, our jeepney driver did not want to go any further because of the poor road conditions. 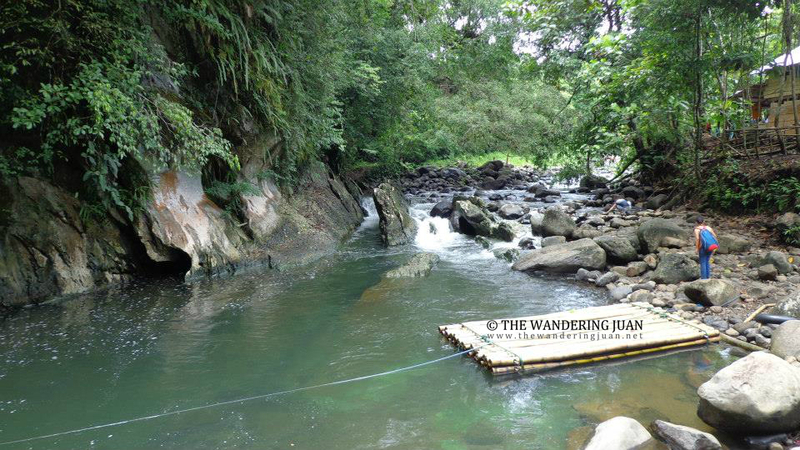 We all went on an unexpected 1 hour trek to get to the jump-off point to the Cavinti caves. 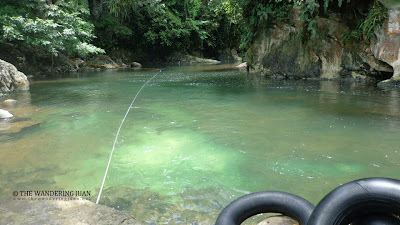 After a tiring trek, we finally arrived at the jump-off point and were greeted by a picturesque river and rock formations. The brief rest and lunch reinvigorated our bodies, then we were finally off to explore the caves. There were plenty of bell-like formations that were reminiscent of Sagada but the similarities end there. Cavinti cave is larger and safer compared to Sagada. The cave we visited covers 4km and has two chambers. There are also lesser narrow walk ways, crawling parts, and dangerous ravines. There was water flowing out of the stalactites. 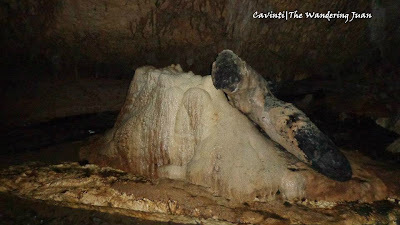 There are other noteworthy rock formations inside the cave. The cave took shape over thousands of years because of underground rivers and other factors. 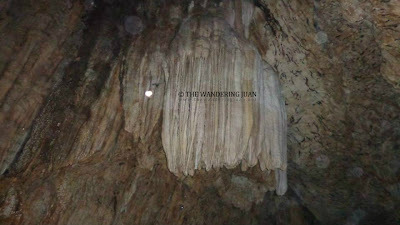 Some of the sections of the cave were surrounded with ropes to avoid further damage caused by tourists touching and pulling the rock formations. The stalactites inside the cave were also magnificent in their own right. The stalactites took various shapes from chandeliers to hands to feet and other shapes. There was also an underground falls deep inside the cave. The water was cool and relaxing after an hour inside the cave. 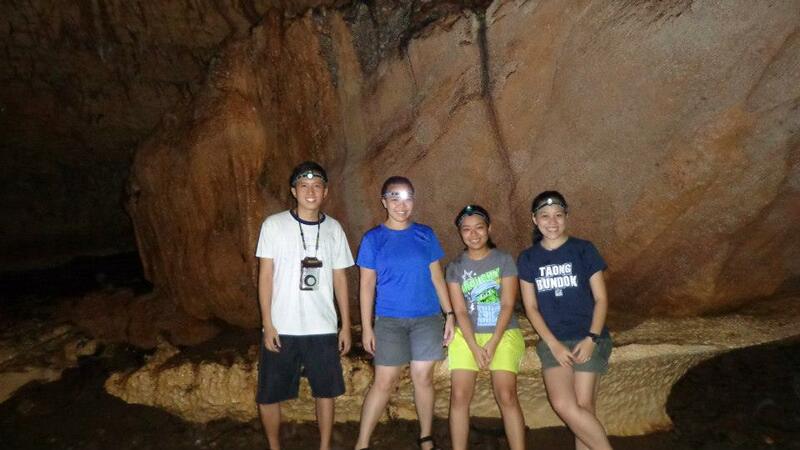 The cave was not as challenging as Sagada but still posed a challenge because of the slippery rocks. It took us almost two hours to go through the two chambers. 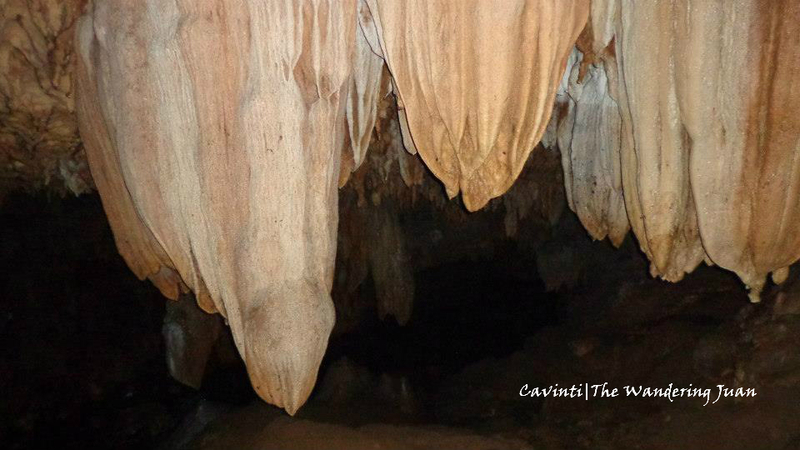 Cavinti cave was a great adventure. The road to get to the place needs a LOT of work to become tourist-friendly. Once it starts raining the road becomes completely impassable. We were told that the caves were discovered by illegal loggers, how ironic. 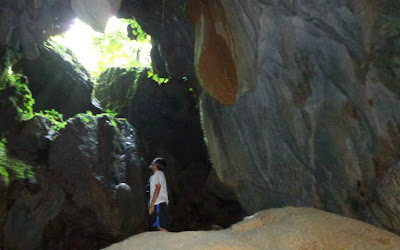 With its sudden media exposure, there were already a lot of tourists flocking to the caves despite the poor road condition. Sadly, the caves will be closed because of a government announcement (I forget why but it had something to do with fixing regulations, rules, fees, etc.). If I'm not mistaken they will open the caves to the public again starting July. They were only finishing off the tourists that have bought permits before the announcement was made. We spent P1,000 each for the tour (courtesy of Explore8) which included lunch, snacks, guides, jeepney ride, and permits. The bus ride to Cavinti and back to Manila were excluded from the price. 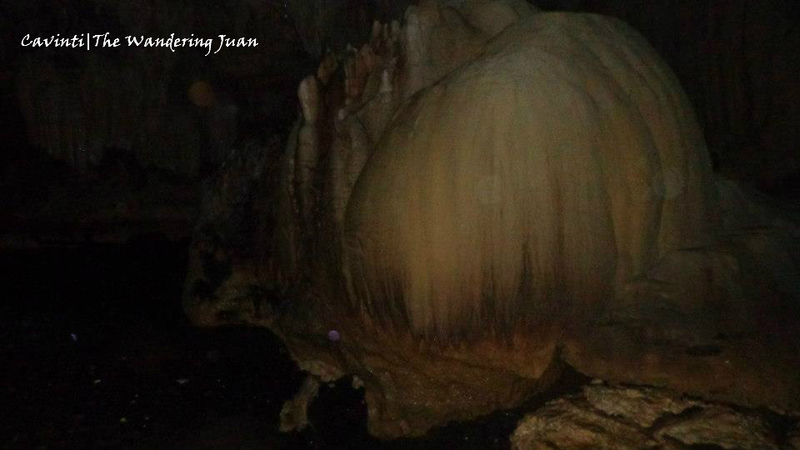 This reminded me about Hoyop-Hoyopan Caves in Albay. 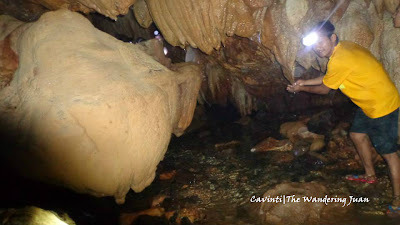 This is a great find and the cave is just in Laguna so its really nearer compared to other caving attractions. wow nice adventure, i hope i can go there too. Beautiful stalagmites and stalactites! Totally fun adventure! Looks like underground in Palawan. Oo nga the pics reminded me of the palawan underground river. It would really be a great adventure here! 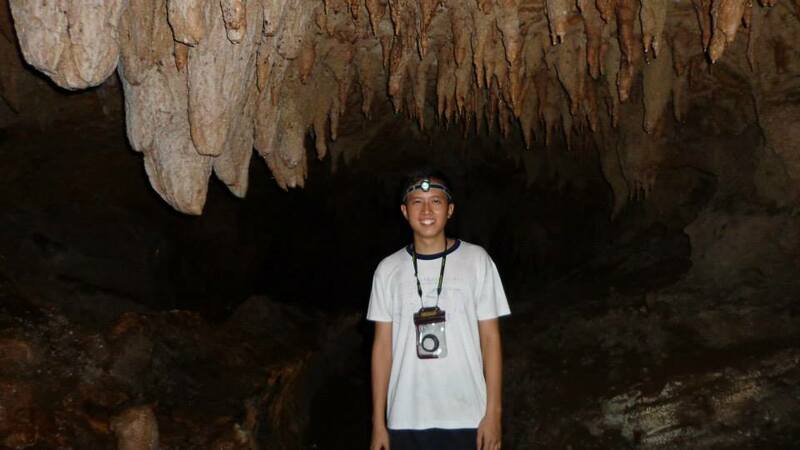 :D The caves and rock formations are so majestic! I'm from Laguna but haven't seen this cave yet. I hope they'll reopen it soon! Katakot yung mga sharp stalactites :)Kaala ko nung una sa Palawan - lapit lng nito sa amin bro. The rock formations are also impressive. I hope to visit the place too. seeing the photos made me scared haha I am a adventurous person though going inside dark caves never comes to my mind as i am afraid of others things that I am not expecting to see and feel. I find myself wondering if I can manage to go inside a cave to enjoy its beauty as I do feel suffocated in enclosed or underground places. Glad I saw the photos in this post. 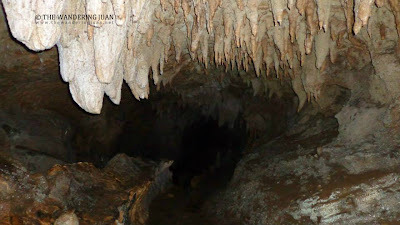 I have no idea that there's a cave we can explore in Laguna because Laguna is famous because of the resorts and the Lake. Great share bro, I think this cave will become famous in the near future. Dream place for me. 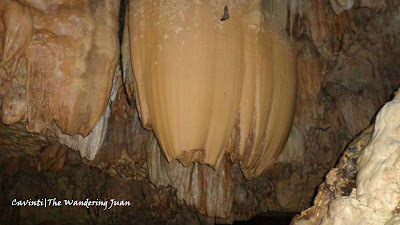 Type ko kasing makakita ng underground falls and stalactites. I'll add this to my travel wishlist. My friends explored this place last month and I wasn't able to join them. I learned that this place was opened for public just lately. Underground caves are nature's treasure. The wonders inside is breathtakingly beautiful. Although I have yet to see one, I'm truly amazed by just seeing these photos of stalagmites, stalactites and unique rock formations. Wow! The cave really looks beautiful. 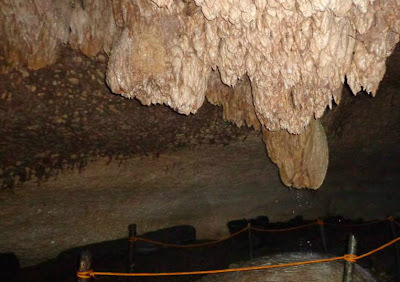 Although I'm not really physically active, I think I'm up for the 1-hour trekking just to see and experience these underground caves in Cavinti :) Will patiently wait for the re-opening of this hidden treasure to public. 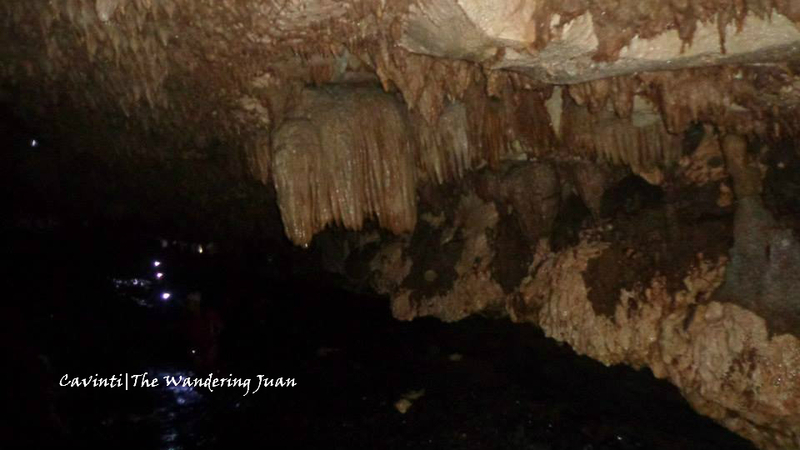 Ive explored many caves, including Sagada's which you mentioned. 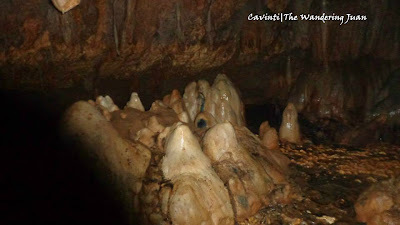 I avoid blogging about caves really because its not for everyone. 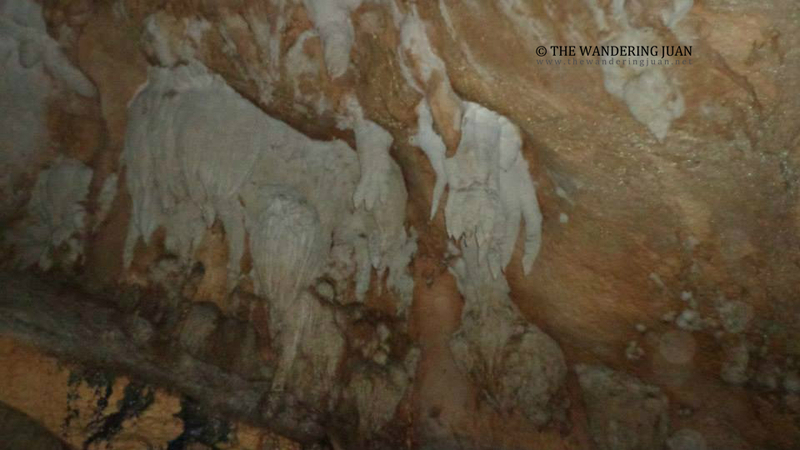 Caves are natures wonders, and excessive tourism only damages the ecosystem that has been developing for millions of years. Manila is really lucky as it is bounded by provinces filled beautiful mountains, tributaries and caves, from Laguna to Cavite, Batangas and Bulacan of the north. we need not look further. I just hope that the promotion of this cave would be responsible enough to steer vandalizers away. 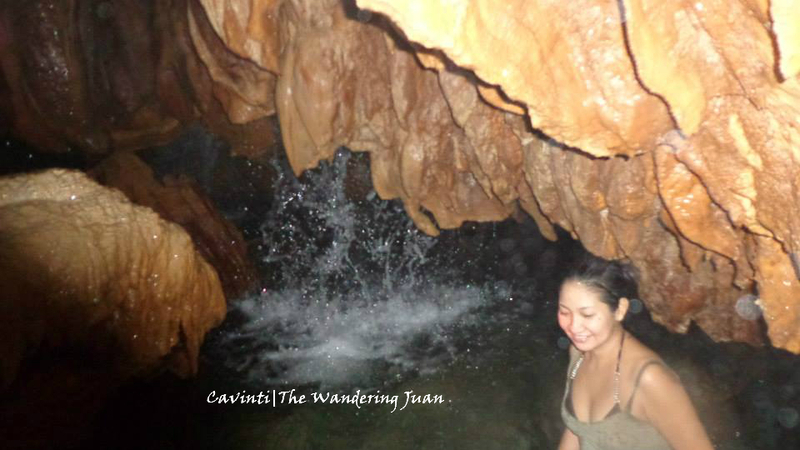 hi mr. wandering juan, can you give a contact number of a guide in cavinti cave travel? thank you! @anonymous: sorry sumali kasi ako ng tour ng Explor8 you can try contacting them thanks for dropping by!